The first paradigm belongs to the most orthodox and traditional form of Wall street capitalism. In this paradigm the main focus is on shareholder values or to maximize the wealth of shareholders. The primary attention of management revolves around shares, dividends, market-capitalisation, stock-market manipulations. All other things like employee development or wellbeing or customer satisfaction are either secondary or only a means to fatten the purse of the shareholder. The limitations of this paradigm are obvious. In a just and fare perspective of business the wealth that is created has to be shared equally with those who create and sustain the organisation. Shareholders are only one among these stakeholders. Other stakeholders like customers and employees are atleast as important as shareholders. But still, there are a considerable number of entrepreneurs who consider enhancing shareholder value as the main aim of business. 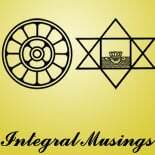 This entry was posted on May 24, 2012 by integralmusings in Integral Management.